One of the common beginner`s mistakes is the belief that brand strategy applies only for some big corporate projects or can be created only by a team of professional marketeers. The truth is that the earlier you think about your brand strategy and define it on paper, the better your future project will develop. Nearly everyone knows that brand strategy is a good tool for increasing your brand awareness among potential customers and sales growing hack as the logical consequence. This knowledge however does not provide the right goal for a beginner. You do not need sales if you do not have them yet — the vision must be reconsidered at this point. The first and the most important thing a brand strategy can provide your business with is the face of your projects. In other words, a good brand strategy allows you to stand out of the crowd. 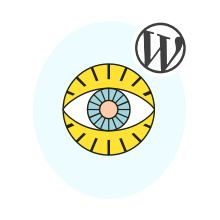 Only after that you can grab our first users and seduce them to become your customers (or eager readers, if we are talking about a WordPress blog). Another key factor of any work is motivation. A good brand strategy can keep you and your team properly motivated even through some hard times. It also motivates your website visitors to become loyal readers or customers as they see your confidence, clear goals and vision of the future. Now, when you understand the importance of a brand strategy, it is time to focus on creating it. The process is not easy and requires some basic steps, which are recommended to each business owner. We will now analyze the first 4 of these steps for you to be prepared at the very start of your brand strategy journey. Each and every business should be based on the idea that customers need something from it. There is no offer without a demand. In other words, you do not need to think about how your business should work at first steps, rather to analyze the wishes and demands of a target audience you choose yo work with. You need to imagine the portrait of your average customer and than put a lot of work to describe it on paper as detailed as it can possibly be done. If you have not yet started your project and want to do it right, then get acquainted with open source analytics on different customer groups. There are lots of open-source studies about nearly any existing type of business and their typical customers. If you already have a project with some audience, then do not ignore a brilliant opportunity to dig into Google Analytics, Facebook Insights and similar tools. They will bring you the real treasure of customer behavior map within your WordPress project. Creativity is the source of ideas, but you should keep the results of brainstorming consistent to the main idea of your brand strategy. Inconsistency weakens your position in further development because you loose your focus. Moreover, your audience always feel inconsistency and does not encourage it. With any attempt to change your brand strategy during the business process you will loose some part of loyal audience you have already got earlier. Isn`t it frustrating? To avoid frustration and the loose of loyal customers you should keep consistent and committed to your brand positions. It relates both to the visual representation of your business and its values too. For example, your logo or brand guidelines should not be fundamentally changed, unless you have decided to leave the existing loyal audience aside and start a whole new page of you business from scratch. Such decisions are the most risky for your projects. Trying to walk in customer`s shoes is not a fad but a necessity. It is of course easier to say than to do. There is no need to implement some difficult analytics of marketing research. You just need to read the texts on your website and imagine your reaction to them as a customer. In the worst case you will not feel anything towards your content. In this case you need the serious reconsideration of how you deliver your thoughts to your audience. Not only texts can work for and against you. The overall feeling of comfort can be delivered by a good color design and user interface. On the other hand, a bad or poor design can ruin the best content ever created. People love with their eyes mostly — use this knowledge to get their love in a proper way. There are lots of tutorials on colors and their conjunctions that bring different emotions. Use these studies to associate your WordPress project with the kind of emotions you would like to recieve from your customers. The goal of competitors` analytics is not in the attempt to steal some ideas but in a great chance to compare your own results with the leaders in the industry. Your brand strategy can have nothing in common with lots of your competitors, and still it does not mean you should ignore their success or failure. A clever man learns with his own experience, but a wise man learns on the experience of others. Do not loose the opportunity to use the existing experience of your competitors and turn it to your strength. Do not stop with your competitors` website while analyzing their strength and weaknesses: look at their social channels, the way they serve customers online and offline, feedback opportunities and reactions, testimonials and much more. This study can show you the inner side of your own business as you could never observe it within your own project. Just give it a try and you will never regret the results! We have managed to walk through the basic steps of creating your own brand strategy for a WordPress website. From analytics to concrete actions — these tips will help you to feel comfortable while working on one of the most important and difficult part of your project`s development.